There’s a new way to understand (complex) prosthetics, not as an instrument to ’empower’ the body with expanded faculties, nor to re-enable body parts which have been lost, but to undergo a completely different status which would instead limit the body in order to test its natural attitude to adapt even to extreme conditions. This approach has been taken by a few artists as its challenging body involvement makes it close to edge performances, and if eventually coupled with the digital creation of custom prosthetics creates quite a wide range of possible unexplored conditions. 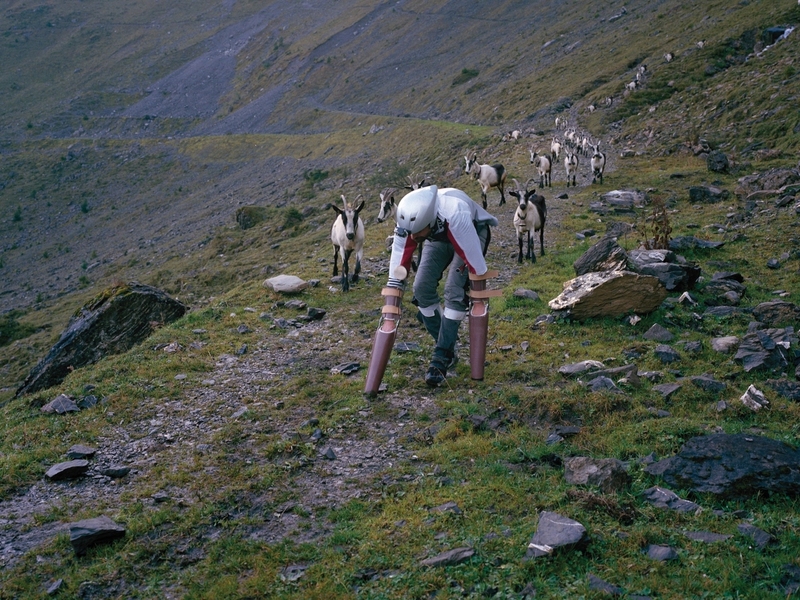 Thomas Thwaites’s project “GoatMan” fully reflects these qualities. 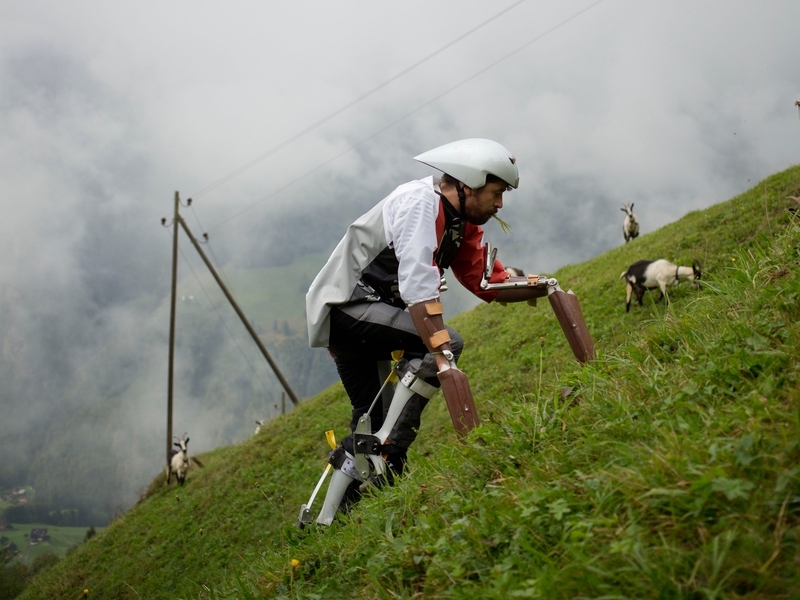 It is meant to let him investigate how it might be to live as a goat. 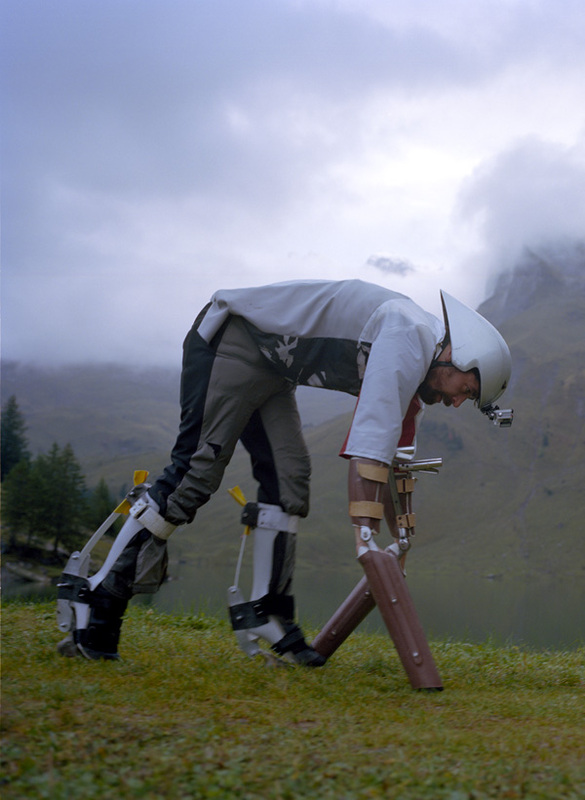 He’s a conceptual designer and commissioned specific custom prosthetics to equip his arms and legs to be able to walk as a quadruped. He studied goats with behavioural biologists, and has even considered to build an artificial rumen working with bacteria found in goat’s gut to properly digest grass. 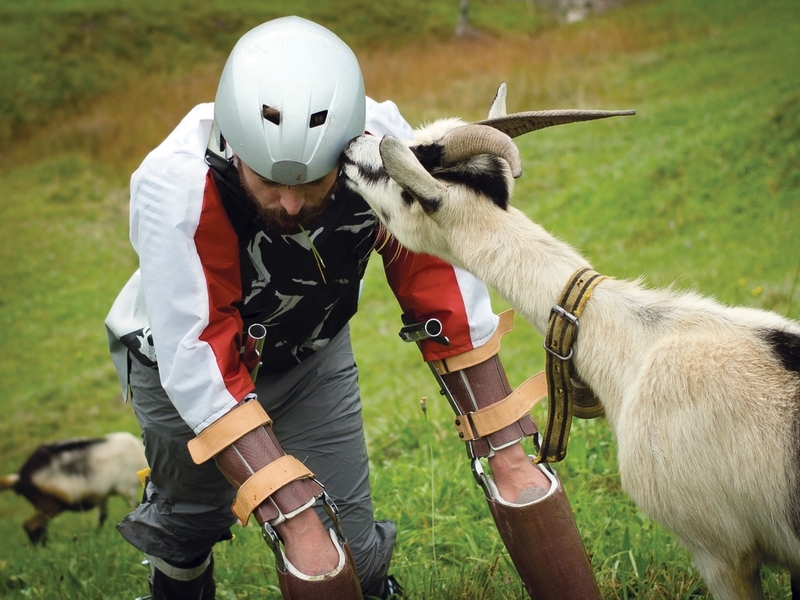 He actually found a way to live as a goat among real goats, on a goat farm in the Swiss Alps, for a few days, and the supportive goatherd affirmed that apparently he was accepted in their community. The detachment from human nature (and especially from the human way of thinking) is among the hardest to explore effectively, the author admits, but it can sometimes be relieving and simplifying life at a completely inexperienced level. This altered state is then also deeply affecting the perception of the self, substantially pushing its limits. He has defined his temporary condition as a “nonhuman animal” and he’s intrinsically stating that post-humanism could also definitely be about “de-evolve”, instead of compellingly evolve.